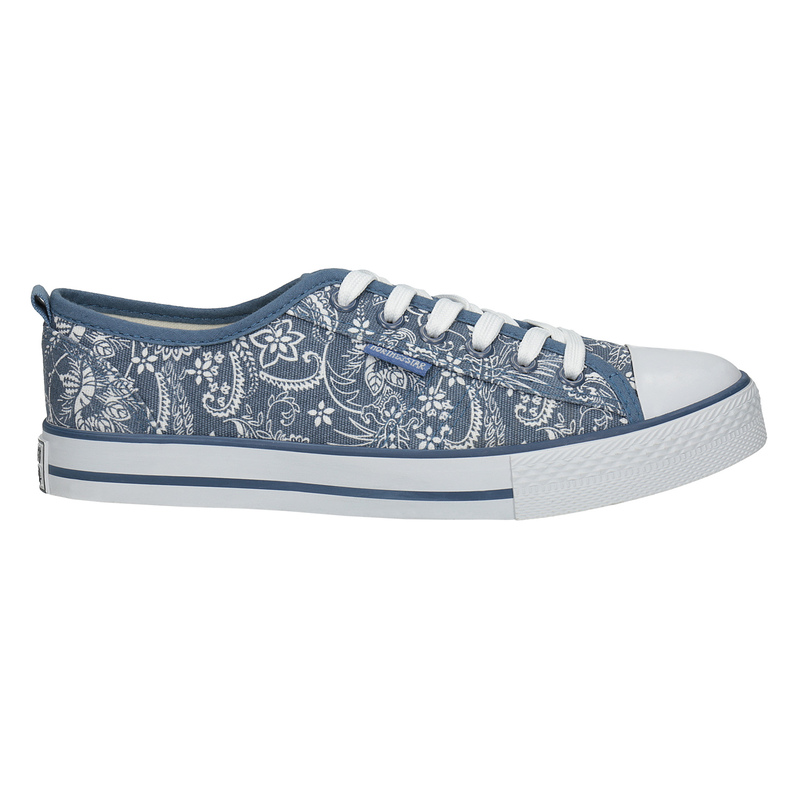 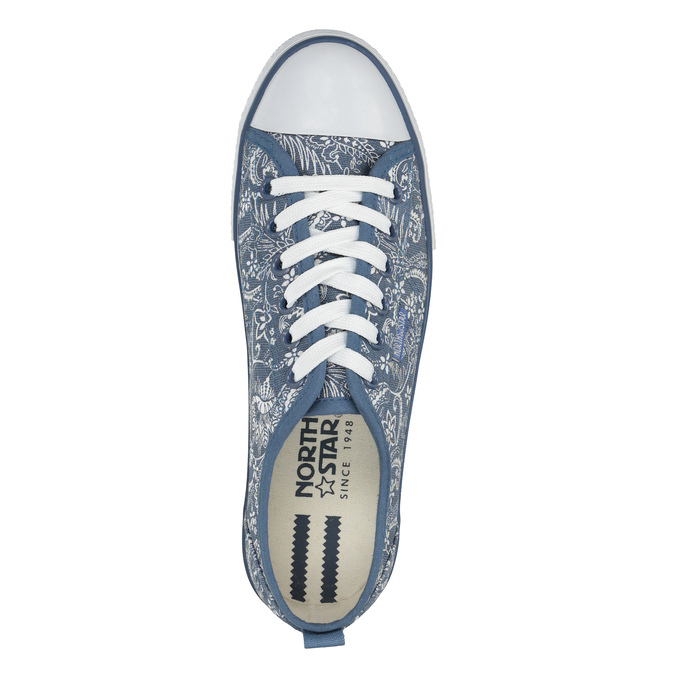 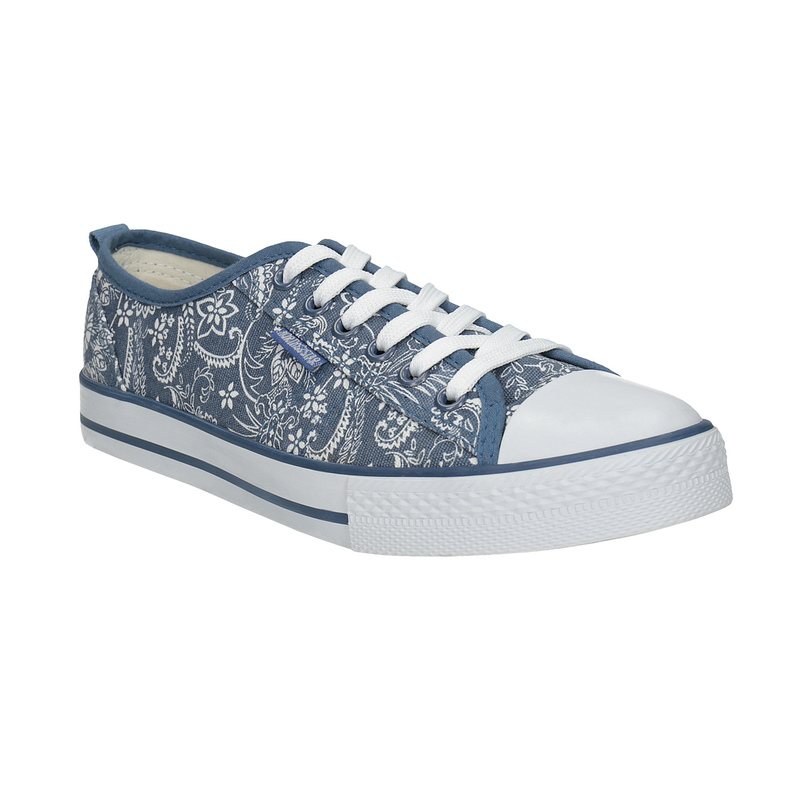 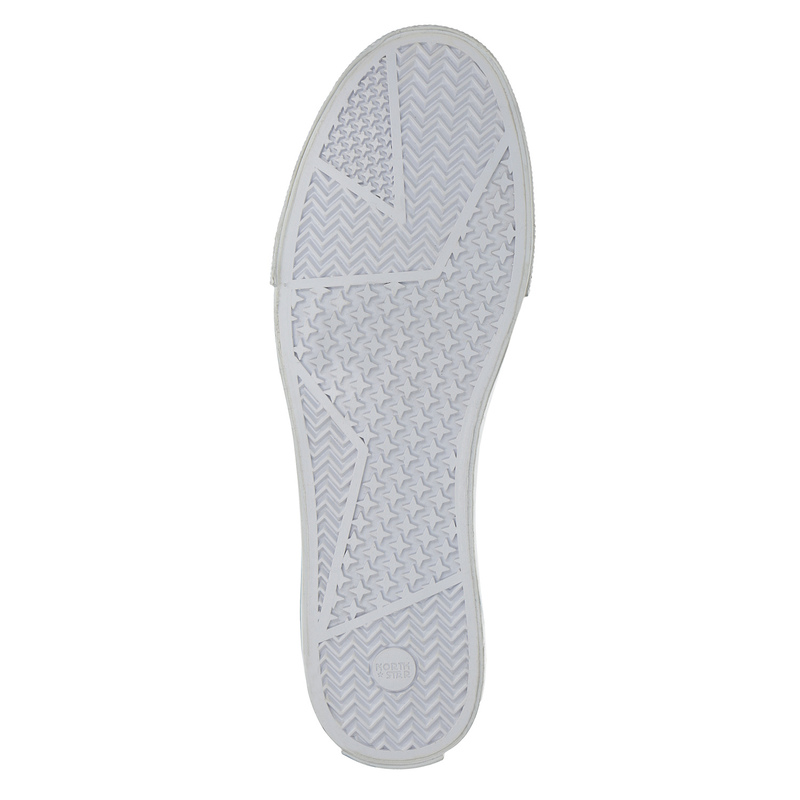 These ladies’ sneakers are low-cut and the blue upper features an original snazzy pattern. 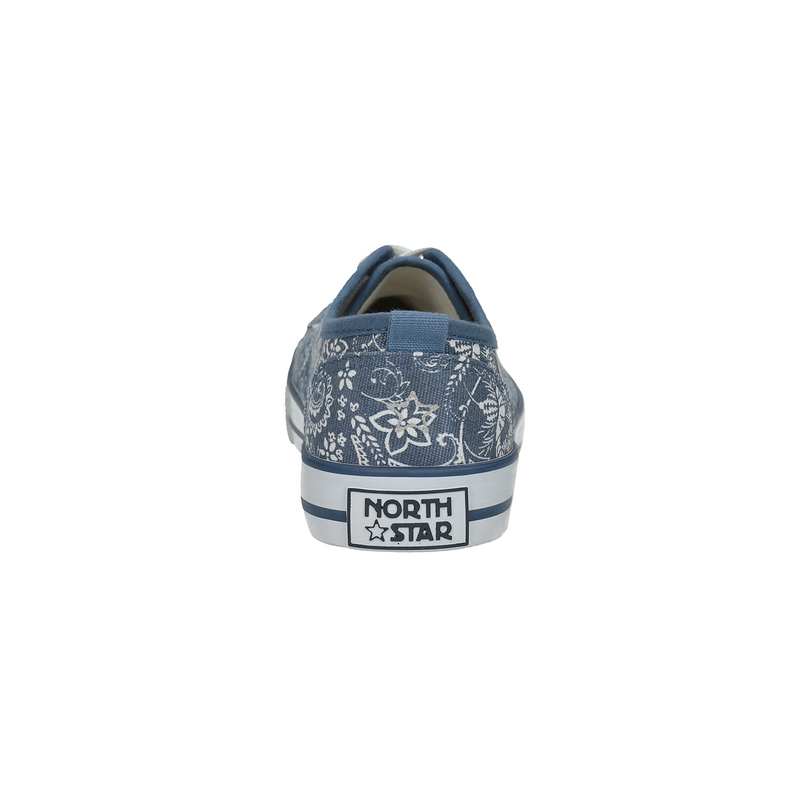 The original logo at the heel and on the side makes for an interesting detail. 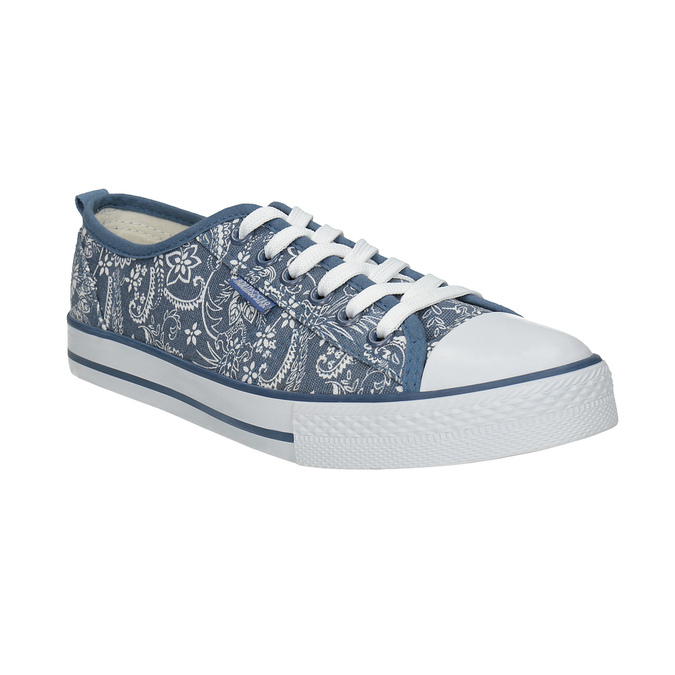 These have a comfortable casual sole – this makes them perfect for a day spent strolling around town or in the countryside, for long journeys or for dancing the night away at a festival.